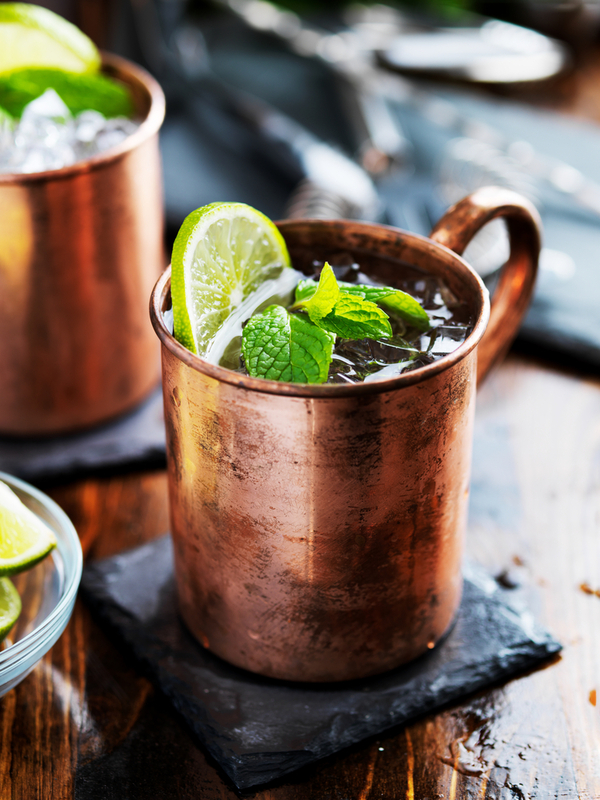 Iowa is Cracking Down on Copper Moscow Mule Mugs, But Are They Really Dangerous? Moscow Mules may be delicious, but are they also hurting you? Iowa made waves recently when it's Alcoholic Beverage Division issued an advisory bulletin warning restaurants in the state that they were prohibited from serving the popular Moscow Mule cocktail in solid copper mugs. The reason? Copper poisoning, which the officials said could leak out from copper mugs when they came into contact with acidic liquids (like those found in Moscow Mules). [D]on’t throw out your mugs just yet! Chances are, they’re lined with food-safe tin or nickel. And even if they’re not, the science linking Moscow Mules to copper poisoning is fuzzy at best. Bonnie Ransom Stern, Ph.D., a Washington, D.C.-based consultant on health sciences and risk assessment, also notes that some of the symptoms the recent news articles have warned against are overblown. Yes, going into a coma can be one of the syptoms of copper poisoning, but that typically occurs only in people attempting to commit suicide by drinking liters of copper solution, she explains. 'Experiments where copper was added to drinking water found that around 6 mg. in a liter starts to induce adverse affects in some people,' says Stern. 'Unless you let the drink sit for hours, it’s unlikely to reach that level.'..." At the end of the article, when asked if they would drink Moscow Mules out of a solid copper mug, the scientists interviewed by The Daily Beast responded with a resounding yes.